The Granberg Designline 417 is an electric washbasin lift with integrated mirror and LED lighting. Stylish and discreet, the entire system moves to the required height using the corded hand control. 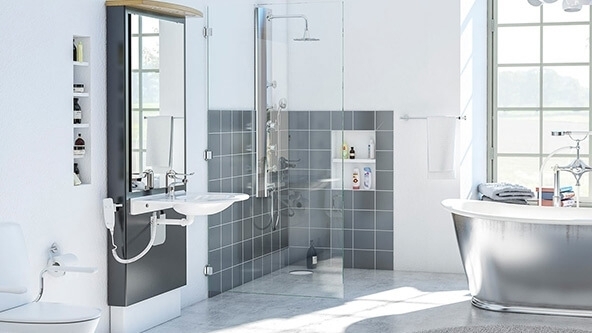 Available in three finishes with a choice of washbasins, the Designline can be fitted with an optional safety stop switch that prevents the lift's movement in the event of an obstruction.